If you've been a victim of yam scams you'd know better than to accept just any yam the smart vendors give to you. 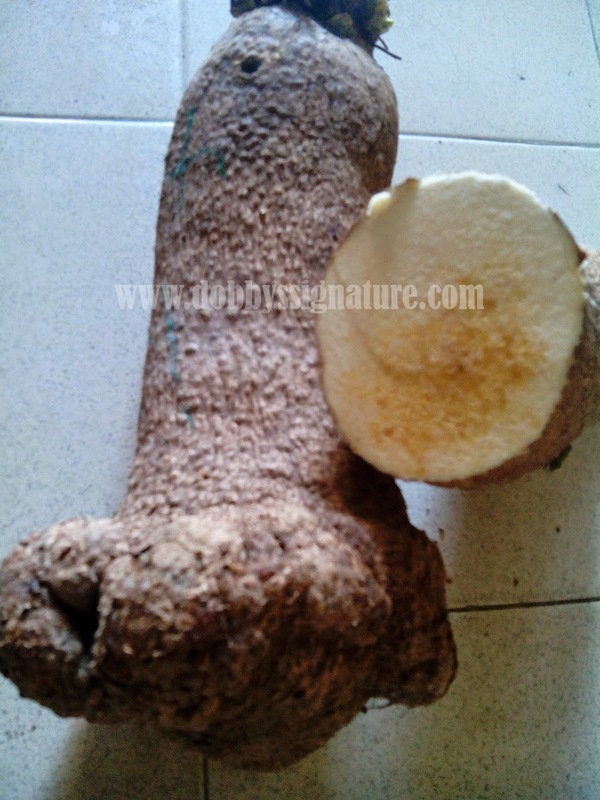 The annoying thing is, most times the vendors know the main color of the yam even without cutting into it but will tell you it is "White yam" which means the yam is good but when you eventually get home and slice into it you'd see the color change "chameleon style". I've been a victim severally in this type of scenario and it is not a nice experience at all especially when the yam is rejected after cooking due to its color. So lets discuss, how do you differentiate between wateryam, old yam and new yam or good yam and not so good yam. Also, what makes yam change color like the one above. i don't think there's a special way till you cut it. the best way is to ask the market seller to pick good one for you. tell the person that if it is bad you'd never buy again. The seller will be forced to give you good yam.